WASHINGTON, DC, October 11, 2011 (ENS) – The United States is not likely to reach cellulosic ethanol production mandates spelled out in the federal Renewable Fuel Standard by 2022 unless “innovative technologies are developed or policies change,” says a new congressionally-requested report from the National Research Council. Cellulosic ethanol is a biofuel produced from wood, grasses, or the non-edible parts of plants, such as corncobs or citrus peels. The report says a cloud of “uncertainty” surrounds environmental and economic benefits expected to result from use of this biofuel. “The Renewable Fuel Standard may be an ineffective policy for reducing global greenhouse gas emissions,” said Ingrid Burke, co-chair of the NRC panel that issued the report and a botany professor at the University of Wyoming. In 2005, Congress enacted the Renewable Fuel Standard as part of the Energy Policy Act and amended it in the 2007 Energy Independence and Security Act. The aim of the RFS is to encourage development of biofuels, lower dependence on foreign oil, and reduce greenhouse gas emissions. The law mandates that by 2022 the United States must produce 16 billion gallons of cellulosic biofuels, along with 15 billion gallons of conventional corn-based ethanol, one billion gallons of biodiesel, and four billion gallons of advanced biofuels. While production of ethanol and biodiesel already exceed the mandate, no commercial cellulosic biofuels plants exist and technologies are at demonstration scale. 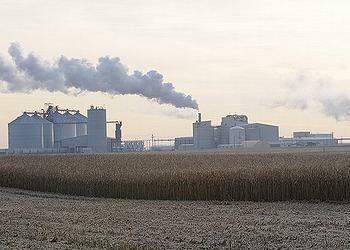 Several industrial-scale cellulosic ethanol plants are being built in the United States, including an Abengoa bioenergy biomass plant in Kansas expected to start production in 2013, and an expansion of Poet’s conventional ethanol plant in Iowa. Project Liberty will be Poet’s first commercial-scale, cellulosic ethanol plant. Scheduled to begin operations in 2013, it is expected to produce 25 million gallons of ethanol per year from corncobs, leaves and husks, provided by Iowa farmers. In September, Poet received final approval for a $105 million loan guarantee for Project Liberty issued through the U.S. Department of Energy’s Loan programs Office. But this year cellulosic biofuel output is likely to be 6.6 million gallons, far below the RFS target for 2011 of 250 million gallons, the report points out. The report finds that although biofuels hold potential for providing net environmental benefits compared with using petroleum-based fuels, specific environmental outcomes from increasing biofuels production to meet the renewable fuel consumption mandate cannot be guaranteed. The type of feedstocks produced, management practices used, land-use changes that feedstock production might require, and such site-specific details as prior land use and regional water availability will determine the mandate’s environmental effects, the report says. 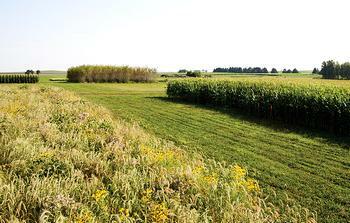 Biofuels production has been shown to have both positive and negative effects on water quality, soil, and biodiversity. But air-quality modeling suggests that production and use of ethanol to displace gasoline is likely to increase air pollutants such as particulate matter, ozone, and sulfur oxides. In addition, published estimates of water use over the life cycle of corn-grain ethanol are higher than petroleum-based fuels. Renewable fuels advocates criticized the NRC committee for is narrow focus and said a broader view of the entire industry is required to accurately evaluate the likelihood of cellulosic biofuel to meet the mandated requirements. “Global demand for energy continues to escalate yet this report chooses to focus with laser-like precision on the perceived shortcomings of conventional and next-generation biofuels. Instead, we should be comparing the relative costs and benefits of all future energy options,” said Renewable Fuels Association Vice President Geoff Cooper, who testified before the National Research Council committee tasked with drafting the report. As for the report’s key finding, Cooper said the Renewable Fuels Association shares the committee’s view that commercializing advanced and cellulosic ethanol technologies will require more policy certainty and a recommitment to reducing oil import dependency. The RFA has long called for an extension of cellulosic ethanol tax incentives and a repeal of decades-old subsidies for the oil industry, totaling at least $4 billion a year in direct benefits.